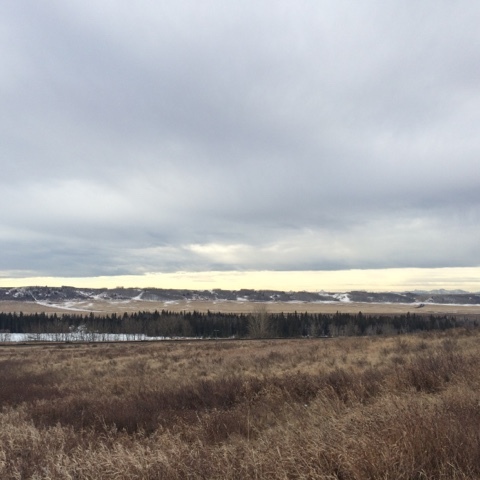 I was fortunate enough to be invited to go on a little hike at the new Glenbow Ranch Provincial Park which is just northwest of Calgary, before you get to Cochrane. 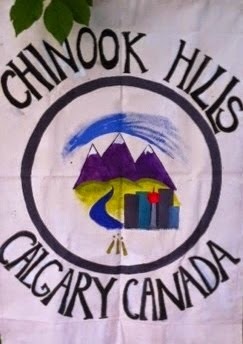 This is a great place, with amazing views of the Rocky Mountains and the Bow River. 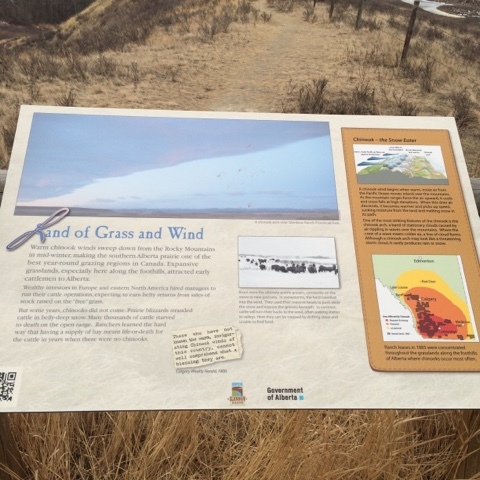 There is plenty of open grassland, with cows, wooded ravines, and even the Canadian Pacific Railway running through. 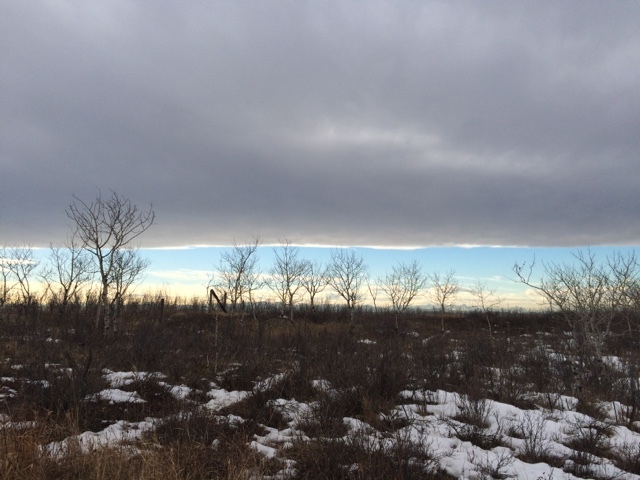 Today, however, the best feature was the Element Air; a Chinook Arch. 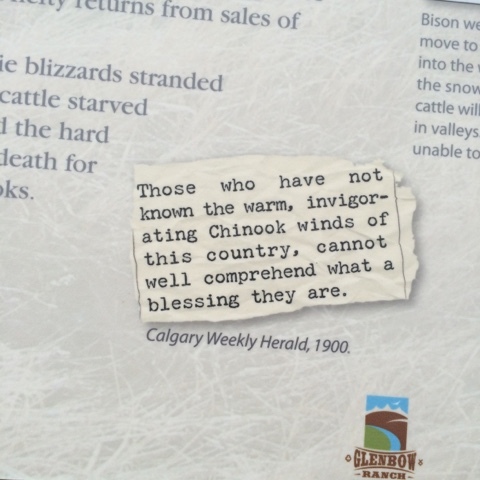 Calgarians are familiar with the warm Chinook winds that occasionally blow in from the west. Today was a perfect example of a Chinook, and the clear open views in the park made it easy to see as well as feel the effect. We could not just feel the air, but we could see it too. 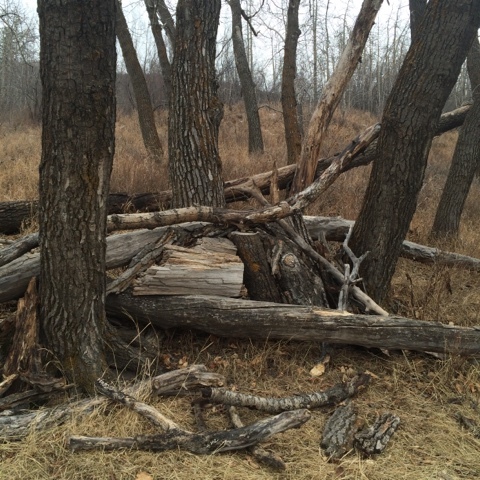 The park entrance and parking lot are up on the top, just off of Highway 1a. 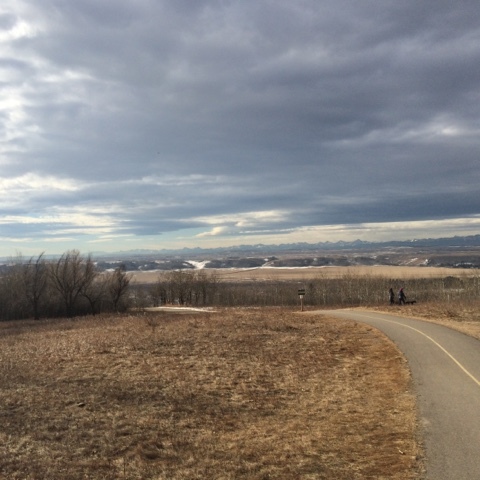 The stunning view of the Rocky Mountains is the first thing you see, or maybe it is the clouds, and the Chinook Arch. Your eyes are drawn up and out. There is something magical about that far away scene that seems so close you could reach out and touch it. The photos below really do such a poor job of showing it. You must just go there and see it for yourself! 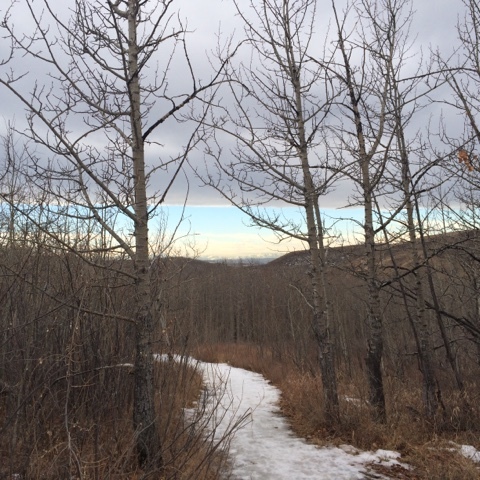 There are many trails and paths, and we chose to go to the right so we could watch the sky view ahead of us. We followed the path down a steep hill, but not all the way to the river. 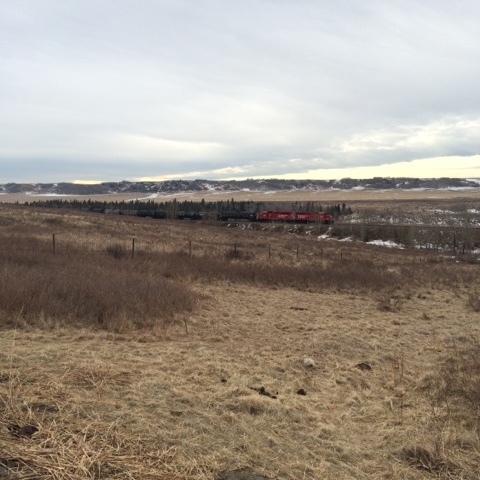 A train could be heard in the distance, and predictably came along. Just past the railway tracks is the Bow River. The evergreens shown below are on the other side of the river. 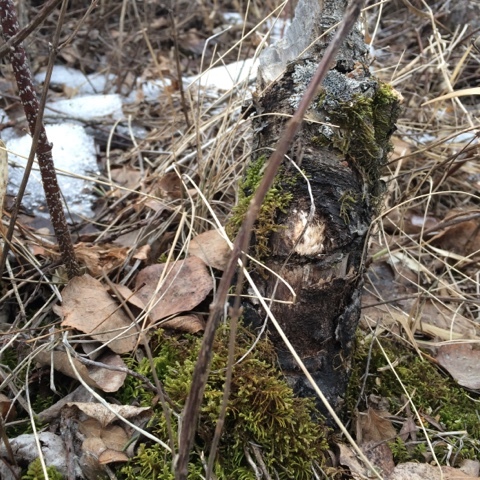 There are plenty of trees in the ravines and coulees, but only grass and brush up on the flats. Most of the snow was gone, with only some remaining in the shaded areas. This green moss really stood out from the background of brown. The winding path was hilly and beautiful, with many perfect picnic places, small groves of trees and quiet spots. This will be a great place to come again in the summer. I was so taken by the sky that my camera is filled with images of it. A few of the better ones follow here by way of an attempt to share the Chinook Arch with everyone.